Situated a 1/2 mile from the entrance to the Disneyland® Resort, with the delightful shops and restaurants of the new Anaheim Garden Walk in between, your WorldMark Anaheim resort makes the most of its location to offer you a vacation like no other. Adults, families and children of all ages can make their vacation dreams come true in this beautiful, entertaining destination. While you’re there, be sure to enjoy the resort itself, from the exercise room, recreation center and arcade to the lobby lounge, swimming pool and spas. At night, you can even create a special memory for your family by heading up to the roof for a prime time view of the Disneyland fireworks display. Be sure to earmark ample time for exploring the surrounding area, taking advantage of this great location you’ve chosen for your vacation. Spend the day discovering the delightful details of one of several world-famous theme parks. When the shopping bug bites you, check out the many designer and specialty shops nearby. Finally, don’t forget to revel in the warm Southern California sun by taking a short drive to the beach. You know you’ve hit pay dirt when you arrive at Angels Camp. Home to everything from the popular Calaveras County Fair & Jumping Frog Jubilee to museums, rodeos, wineries and more, this is the heart of the Sierra Nevada gold rush country. And, as the residents here know, gold comes in many forms. The area is rich for exploration. Kick up your heels in the Sierra foothills—covered in wildflowers or colorful leaves depending on the season—or pan for gold in the old mining towns. Hike, bike or ride a horse. You might also try spelunking in one of the caves near the resort. And, of course, a game of golf is never far away—the resort is located on the Greenhorn Creek Golf Course’s tenth fairway! However you fill your days here, you’ll agree that it’s a vacation spot fit for angels. Nestled in the Sierra Nevada Mountains, Bass Lake has been called "pretty as a postcard" by the Los Angeles Times and is the closest recreational lake to the park. This means hiking Yosemite by day—where you’ll find hidden waterfalls, mind-boggling cliffs of granite and giant Sequoias—and relaxing lakeside by night. Summers at the lake—it’s as American as apple pie and the Fourth of July. 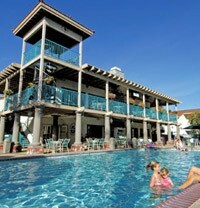 Bring back fond memories of summers past by visiting your resort at Clear Lake. An eutrophic lake—meaning its waters are warm and full of life—the lake is the largest natural freshwater lake within California’s borders. Among the tules, willows, cottonwoods and oaks, you’re likely to find a paradise you thought had long since vanished. With the Bartlett Mountains as a backdrop and a beautiful turn-of-the-century, mission-style lodge as its centerpiece, the resort recalls the rural California that Mark Twain found so endearing. The 1,100 acre Anaheim resort area includes Disneyland® Park, Disney’s® California Adventure, the 1.6 million square foot Anaheim Convention Center and WorldMark Dolphin’s Cove, a resort catering to family fun. A dramatic dolphin fountain welcomes you to five splendid acres of peaceful ponds, wonderful waterfalls and a full slate of resort amenities including pools, spa, playground, fitness center and game room. 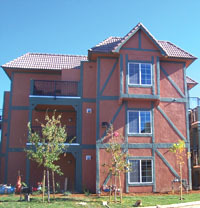 The resort is minutes from the Disneyland® Resort, nearby shops, restaurants and the Angel Stadium of Anaheim. For evening fun, visit the Downtown Disney® District, with themed dining such as the ESPN Zone® and Rainforest Café®, family-oriented activities and the 40,000-square-foot World of Disney™ store. And a day at the beach is just 14 miles away. 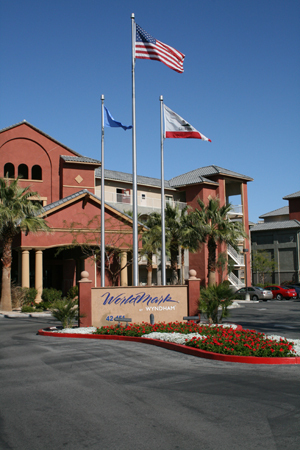 Enjoy the comforts of WorldMark while you visit this magical Southern California oasis of family entertainment. Just a putt away from the Golf Course at Terra Lago, your new California resort, WorldMark Indio, offers unlimited options for fun and relaxation. Located in Greater Palm Springs, Indio is one of eight desert resort cities of the Coachella Valley offering a vast array of things to do in year-round sunny weather. At your Mediterranean-style resort, you can float aimlessly down the "Lazy River" or dive into the 4,950-square-foot pool. Or soak in one of three courtyard whirlpools. Be sure and stop by the Spa at Indio (WorldMark by Wyndham Resort's largest spa) for a full menu of services ranging from massages, wraps, scrubs, medical-grade custom facials and packages. Once your treatment is over, enjoy the relaxation area where the spa serves chilled, oxygenated water, fresh fruit and or sample the hot tea station. All are complimentary with your spa treatment. The more active can tackle the tennis courts or play a game of hoops on the sport courts. When it's time to take it inside, make a beeline for the recreation center. Pool tables, Ping Pong, foosball, and a fitness center (plus a lot more) are just waiting to be used. Golf anyone? This is where it's at. A few popular courses, out of more than 120 throughout the Coachella Valley, include the Tahquitz Creek Golf Resort in Palm Springs, PGA West in La Quinta, and, of course, The Golf Club at Terra Lago (formerly Landmark Golf Club), located right outside your door. This resort is WorldMark’s largest to date, comprising 430 units and stretching 27 acres by the time the final phase is completed. 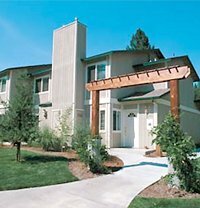 Each unit looks out to either the pristine golf course or to the smoky snow-capped mountains surrounding the valley. And inside, you might feel as if you stepped onto the set of Casablanca. Muted natural tones of greens, mauves, browns, and beige mimic those of the surrounding desert, while leaf motifs and accents of rattan conjure a tropical feel. In addition to the usual studio, one-, two-, and three-bedroom units, WorldMark Indio will be the first WorldMark property to offer four-bedroom presidential suites. The 2,500-square-foot suites will be loaded: plasma TVs, fireplace, tile floors, wrap-around balconies, hot tubs, and panoramic views of the valley. 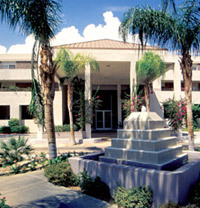 WorldMark Indio is so spectacular, passersby might think it a mirage. In actuality, it’s an incredible oasis. Sure, San Francisco has the Victorian architecture and the cable cars, but Monterey Bay is the purist’s California. Henry Miller once said of the area, "This is the California men dreamed of years ago ... The face of the earth as the Creator intended it to look." And so it is. Monterey Bay has inspired artists from John Steinbeck to Ansel Adams. 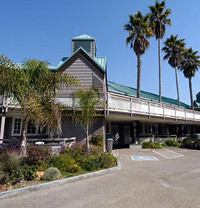 To get a little inspiration in your life, drive just north of the city of Monterey to your resort at Marina Dunes. As you do, roll down the windows and take in the sweet coastal air. You’ll hear the sea lions and the roaring surf drifting on the wind. After you check in, check out Cannery Row and the unbelievable Monterey Bay Aquarium. There’s plenty to see and do as you sink into the history and beauty of this unique stretch of California coastline. 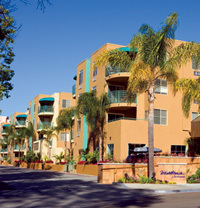 San Diego is known for its year-round sunny skies, pleasant temperatures, and beautiful beaches. And now, right in the middle of it all, WorldMark San Diego -Mission Valley is ready to host you in one of the greatest cities in California. Your new resort—located in the quiet San Diego suburb of Mission Valley—consists of 167 one- and two-bedroom units, each with a fully equipped kitchen. 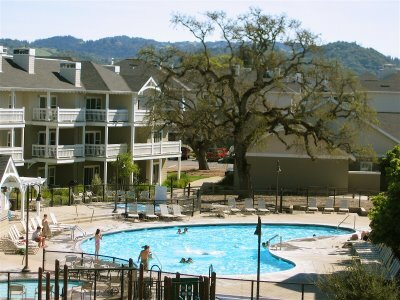 Resort amenities include a pool, spa, exercise facility, and free underground parking. You may want to block off some time for Balboa Park—only 4.5 miles from the resort. The park is akin to San Francisco’s Golden Gate Park or New York City’s Central Park and is, in fact, the nation’s largest urban cultural park, coming in at 1,174 acres. With eight gardens, 15 museums, nine restaurants and cafes, a golf course, the San Diego Zoo, a puppet theater, golf course, and the world’s largest outdoor organ (and this isn’t even a close to a complete list), you could do something different in Balboa Park every day for the next two months. Palm Springs has all the things you'd expect—desert heat, celebrity sightings, elderly snowbirds and lots and lots of golf—but it also has 10,000-foot mountains, lush canyons, towering dinosaurs and, yes, plenty of glitz. Granted, Palm Springs is arguably the shop-’til-you-drop locale, but it also serves up enough golf (over 100 golf courses), tennis (600 tennis courts) and mountain biking (35 miles of trails) to exercise something other than your wallet. And if you need a dose of Mother Nature, nearby Joshua Tree National Park, Indian Canyons and Mt. San Jacinto State Park all offer hikes amidst beautiful desert scenery. Of course, there’s also the chance to relax in the luxurious setting of your resort. If it’s a desert hideaway you seek, look no further than Palm Springs. From late October through February, thousands of migrating Monarch butterflies cluster in the limbs of the Monterey pines and Eucalyptus trees near Pismo Beach. Like these beautiful insects, you’ll discover it’s a wonderful place to spend some time. They holiday here, undoubtedly, for the quintessential California experience. This means surfing, of course, as well as horseback riding along the tide line or strolling the length of the Pismo Beach Pier. From Pismo Beach, it’s easy to tour wineries, go on a whale-watching tour, take flight in a biplane or head 55 miles north (a one-hour drive) to Hearst Castle, the palatial home of the late publisher William Randolph Hearst. If you make this trip, just make sure that your ride is a convertible and the Beach Boys are playing on the sound system. This is California at its classic best. Downtown San Francisco is all yours from this exciting urban location. 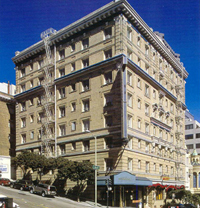 WorldMark San Francisco occupies an historic building dating from 1908 on the corner of Bush and Stockton streets and is a short walk to Chinatown, Nob Hill and Union Square. The famous Powell Street Cable Car stops just two blocks away, and public transportation on the Bay Area Rapid Transit system is nearby. Visit Fisherman’s Wharf, Ghirardelli Square and the Maritime Museum on San Francisco's waterfront; ride a ferry to Alcatraz Island and learn about this former federal prison's notorious inmates; explore the sixties-throwback Haight-Ashbury district; or spend time wandering through Golden Gate Park, an urban oasis larger than New York's Central Park. Enjoy some of the world's finest restaurants, shop in the glass-domed Crocker Galleria in the Financial District and check out the city's vibrant theatrical productions. 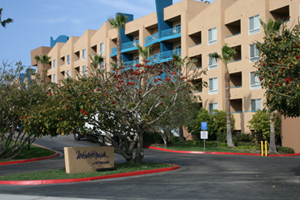 WorldMark San Francisco puts you in the center of this dynamic city so that you can explore all it has to offer. 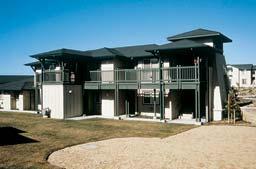 Units in this urban do not have decks or balconies, and the resort has no outdoor areas, pools or similar amenities. There is a comfortable lobby complete with a cozy fireplace, a guest laundry room and a fully equipped exercise room located on the ground floor. Since the units are hotel-like in nature, they are substantially smaller than those in other WorldMark locations and do not have full kitchens. Velkommen to Solvang, the Danish Capital of America. Located in the breathtaking Santa Ynez Valley of California, Solvang is a quaint village of flower-lined streets featuring old world architecture highlighted by thatch, copper and tile roofs. 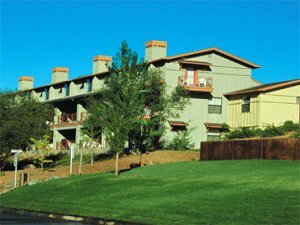 WorldMark Solvang puts you in the heart of the lovely village. Find a treasured keepsake at one of Solvang’s many unique shops, which offer an assortment of imported European wares, including porcelain, collectibles and handicrafts. Savor fine authentic Danish cuisine—perhaps some frikadeller (meat balls), medisterpolse (sausages) or rodkaal (red cabbage)—and make sure to save room for some baked goods. The Santa Ynez Valley also is known for producing some of the finest wines in the world—boasting more than 18,000 acres of grapevines and more than 60 wineries. The area is especially known for producing outstanding Chardonnay and Pinot Noir, but produces a number of other varietals, including Riesling, Sauvignon Blanc, Syrah and Cabernet Sauvignon. 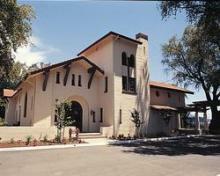 And Solvang is home to a number of area tasting rooms, many of which welcome visitors year round. Legend has it that the town of Windsor got its name from a pony express rider who likened the area's landscape to that surrounding Windsor Castle in his native England. Nestled into the Russian River Valley in Sonoma County, Windsor is a small town with deep roots in farming and, more recently, wine making. You'll enjoy the area's family-owned wineries and the newly constructed Old Downtown, a development that brings to life Windsor's past, including the old general store and meat market. Lively restaurants abound, and the Town Green also hosts a Sunday Farmers' Market from May through November and concerts on summer nights. Adjacent to WorldMark Windsor is the challenging Windsor Golf Course, host to six PGA Nike events. Windsor is also home to more than 1,000 acres of regional parkland and is the liftoff point of the annual Sonoma County Hot Air Balloon Classic.